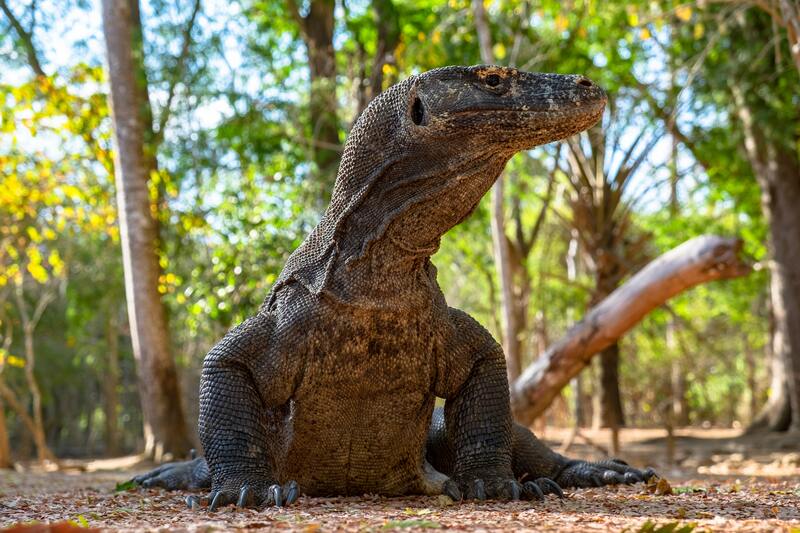 Following reports of rampant smuggling of Komodo Dragons Indonesia will be closing Komodo to tourists for a year, according to local media reports. Komodo Dragons are a protected species and considered to be the largest living lizard in the world. They have poisonous saliva and can be dangerous. The lizards, found on only a small group of Indonesian islands, are endangered in the wild and protected by international law, but are sometimes illegally smuggled as exotic pets. They are capable of growing up to 10 feet long and weighing up to 200 pounds. According to BBC, a police spokesman in East Java said five suspected smugglers had been arrested in Semarang and Surabaya. The reptiles were being sold for up to $1,400 (£1,000) each, officials said. The temporary shutdown will allow better preservation of the island’s nature and environment and increase the komodo population, Marius Jelamu, a spokesman for the provincial administration, said. Tempo reports that only Komodo Island will close; the rest of the national park will remain open to tourism.